"I grew in a family of musicians. It's a tradition, generations after generations. I started with learning piano with my father at the age of 5. Then my grand father Jim Ways taught me the basis of guitar playing, when I was 6. A few years later My uncle Angelo Debarre helped me improve my performing. A lot of work and many concerts with great musicians, that's what took me to where I am now..."
With his first album called L'Esprit Manouche, Steven Reinhardt proved that one can both be "classical" and "modern". While he was playing in a hyper classical trio line up, with Yannick Bouchikki (rythm guitar) and Antoine Abed (bass), he succeeded in delivering in 2014 twelve creations that were all fresher than the others! A first album quite simple but already so unique! His new band, which is a quartet with the saxophone player Alban Chapelle, is a proof that this first album was not a stroke of luck! 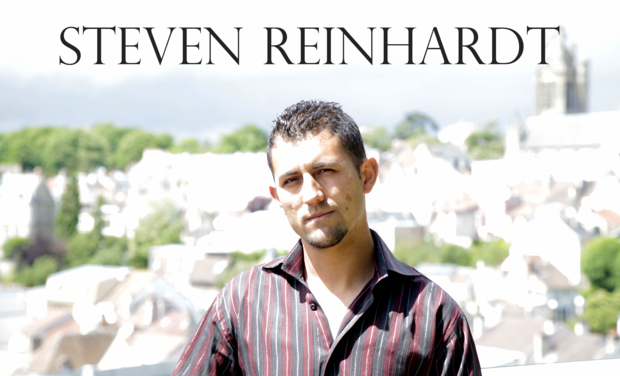 This Steven Reinhardt really has talent. This new band provides us Gipsy Swing music, more like a classic retro American jazz. It's a real wonder to hear them, even if these frist recordings we present here have been done "on the fly", meaning in harsh conditions for the performers. Listening to Steven Reinhardt's music, it seems like you are hearing some of those great themes that became immedite universal classics! Not retro, neither modern, just magic! 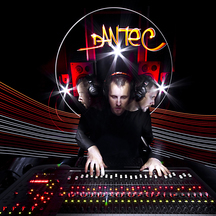 Steven asked to Mathieu Dantec, audio engineer who recorded his first album, to realise this second record. He is the personn who presenting this wonderful project to you right now. Every coin is important! We thank you for your support, please subscribe to the newsletter to get the latest news about the project. Thank You on Steven Reinhardt's facebook page. Choose 2 tracks to download after the official release of the album. Thank You on Steven Reinhardt's facebook page. Full Album download after its official release. Thank You on Steven Reinhardt's facebook page. Download First album (L'Esprit Manouche) AND new album, BEFORE its official release. Hardcopy with personnal dedicating by Steven Reinhardt and his musicians, delivered BEFORE its official release (delivery fees included for France or Europe, additionnal fees will be applied for other coutries). Thank You on Steven Reinhardt's facebook page. Hardcopy delivered after its official release (delivery fees included for France or Europe, additionnal fees will be applied for other coutries). An invitation for two to one of Steven Reinhardt's shows, applicable for 2015 and 2016. Production note: We only have Shows in France planned for the moment. We do not guarantee the possibility to see Steven Reinhardt on stage in an other coutry for 2015 and 2016. Thank You on Steven Reinhardt's facebook page. Download First album (L'Esprit Manouche) AND new album, BEFORE its official release. Hardcopy with personnal dedicating by Steven Reinhardt and his musicians, delivered BEFORE its official release Original "special contributors" poster (50 copies limited), with personnal dedicating by Steven Reinhardt. (delivery fees included for France or Europe, additionnal fees will be applied for other coutries). Thank You on Steven Reinhardt's facebook page. Hardcopy delivered after its official release (delivery fees included for France or Europe, additionnal fees will be applied for other coutries). Come and spend half a day with us to watch studio sessions (in Pontoise, France). Group of 4 people at once maximum. Planned to happen: july/ august 2015. Thre hours "Master- class" with the band. Meet, exchange, and discover the techniques of Gipsy Jazz with Steven Reinhardt and his band. Group of 6 people maximum for each session. It will take place in Pontoise (France). Planned to happen between september and december 2015. Steven Reinhardt Quartet, acoustic private concert. Around Paris, France only (or additionnal transportation, meals and lodging to be charged to the contributor). Dates to be decided together, according to the artists' possibilities, from october 2015. Contact us for the organisation of the private concert.